Kloosterzande is a village close to the Westerschelde. 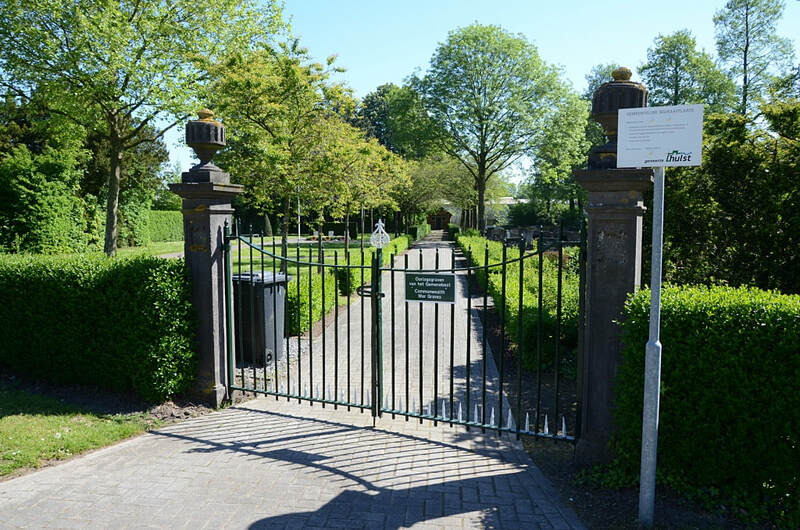 It is part of the Hulst Municipality, located in the province of Zeeland in the south-western Netherlands. 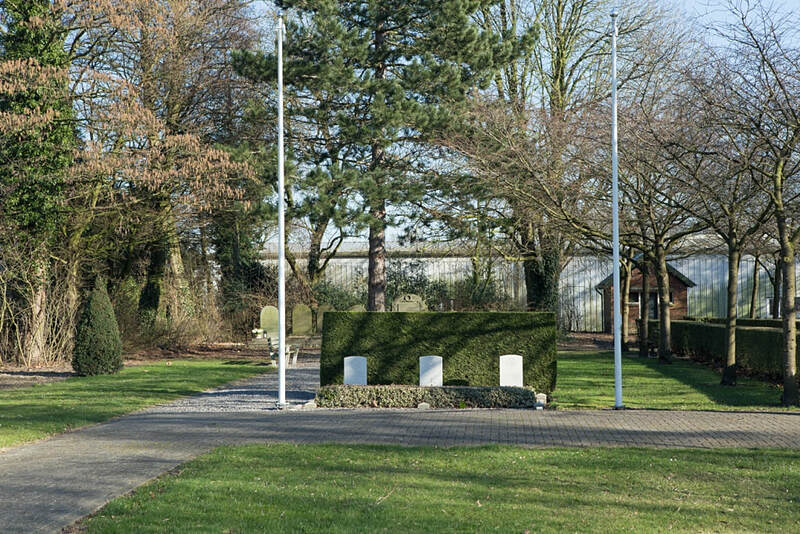 It lies approx 17km east of Terneuzen. 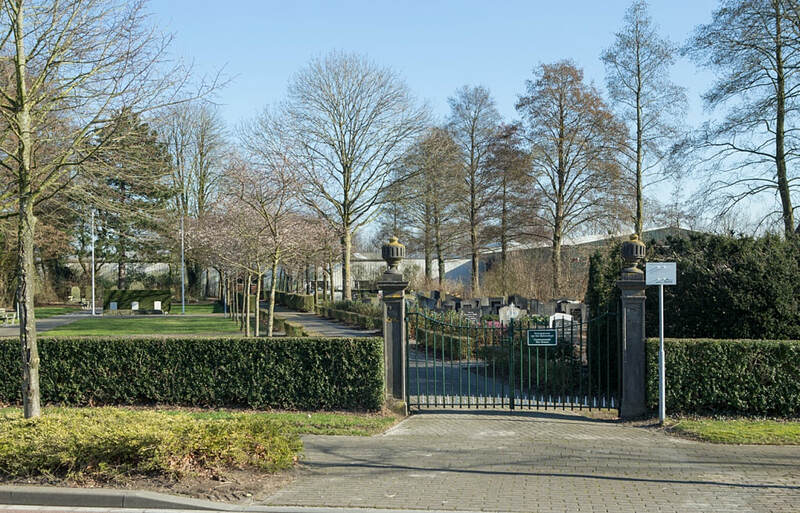 The 3 graves can be found in the centre of the cemetery on the left. 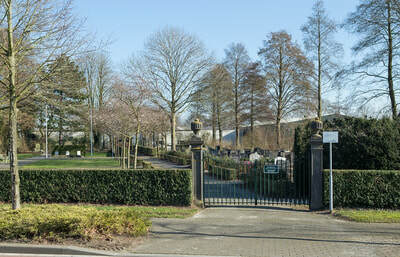 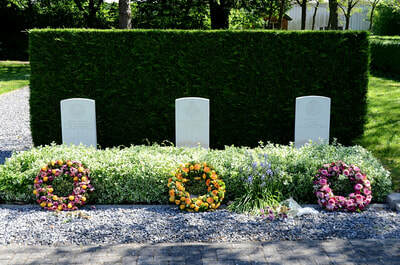 The cemetery address is:- Hulsterweg, Kloosterzande. 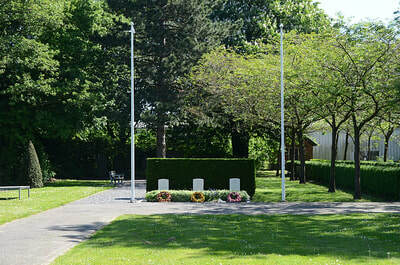 There are 3, 1939-1945 war casualties commemorated at this site. 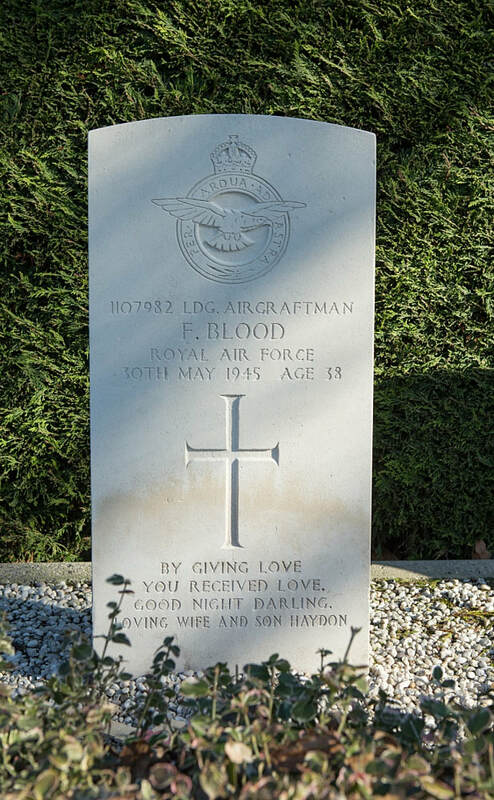 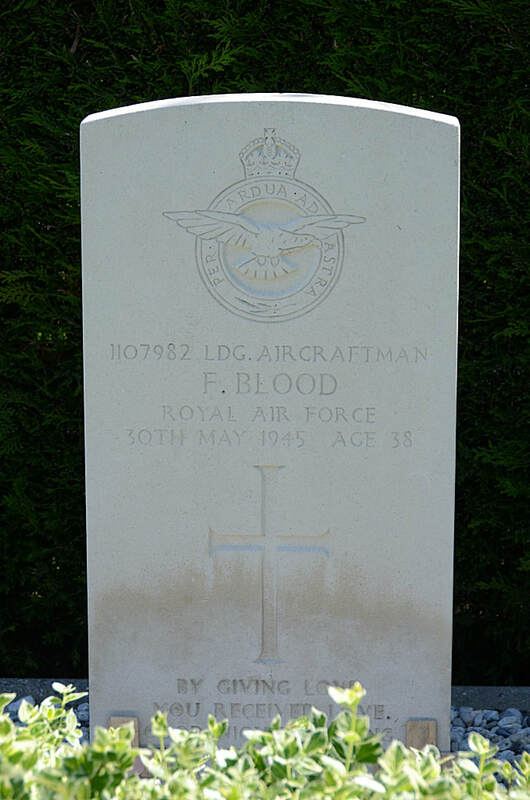 1107982 Leading Aircraftman Frank Blood, 967 Balloon Squadron, Royal Air Force Volunteer Reserve, died 30th May 1945, aged 38. Son of Fred and Anne Blood; husband of Annie Blood, of Skegness, Lincolnshire. 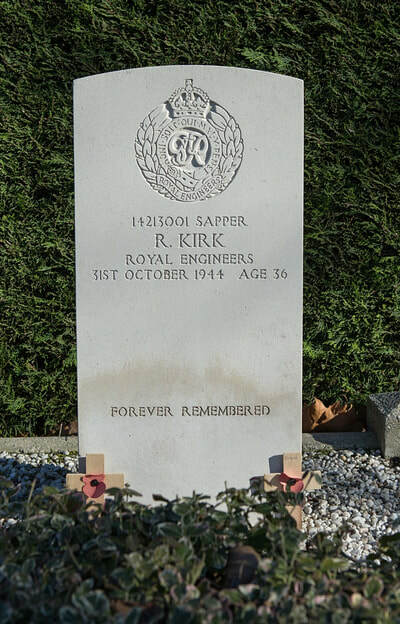 ​14213001 Sapper Robert Kirk, 554 Field Company, Royal Engineers, died 31st October 1944, aged 36. 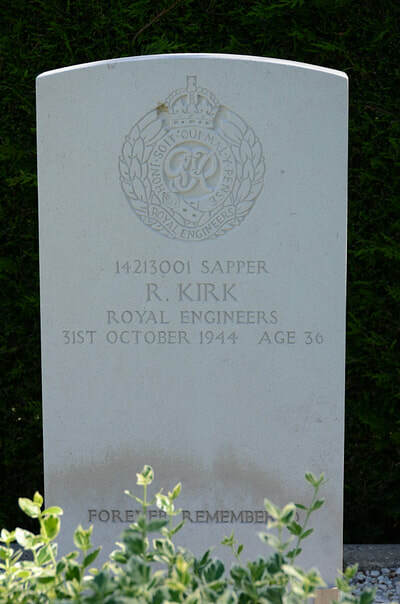 Son of James Kidd Kirk and Catherine Jackson Kirk; nephew of Mrs. C. J. Campbell, of Newburgh, Fife. 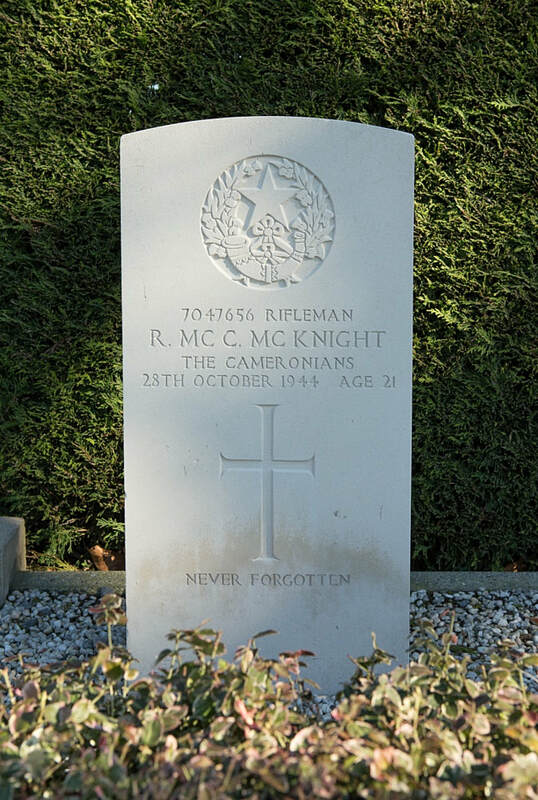 7047656 Rifleman Richard McCandless McKnight, 7th Bn. 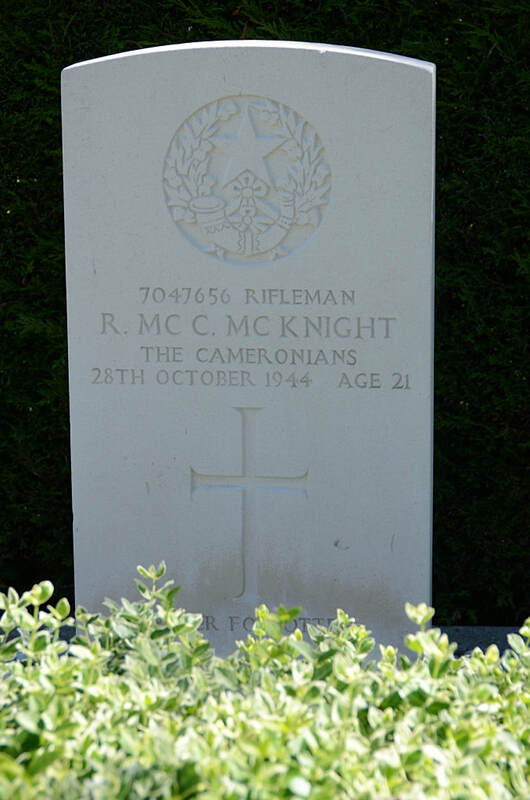 Cameronians (Scottish Rifles), died 28th October 1944, aged 21.